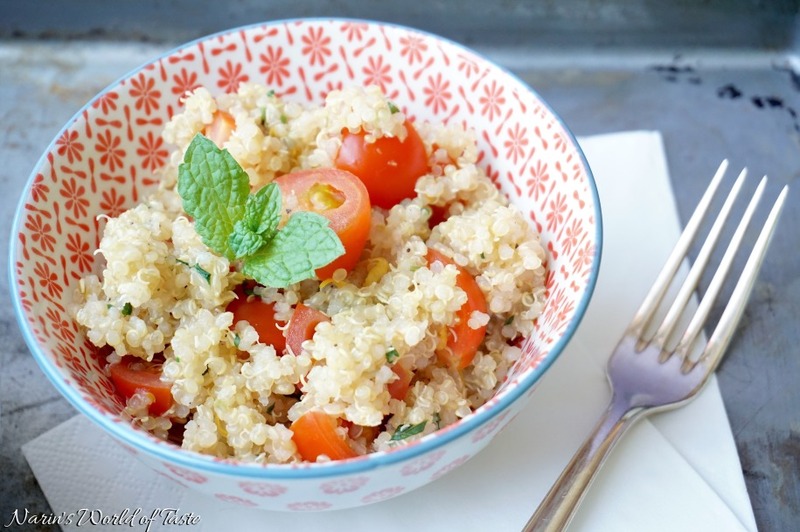 This is a light and delicious summer dish where I combine the nutty taste of quinoa with the fresh Middle Eastern flavors of mint and lime. It’s quick and easy to make with only four ingredients. You can serve it alongside a Moroccan Tajine or with grilled fish, meat, or vegetables. 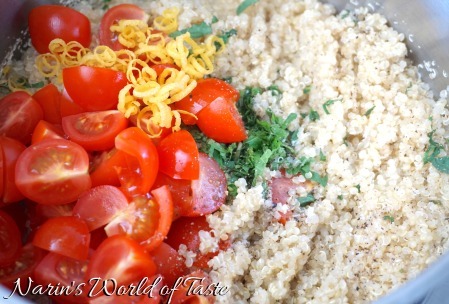 The superfood quinoa is also called the Aztec Gold because of the huge amount of energy and fiber it contains. It’s not a grain, it’s part of the seed family and also gluten free. Pour the quinoa into a fine strainer and rinse it throughly with cold water. Add the quinoa to a medium-sized pot, add twice the amount of water (2 cups), and add 1/2 tsp salt. 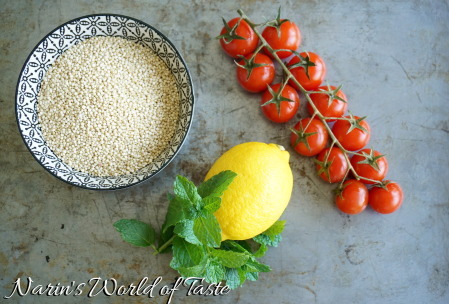 Bring the quinoa to a boil and then reduce the heat to very low temperature. Cover the pod with a lid and let the quinoa simmer for about 15 minutes until all the water is gone and the quinoa popped – by this I mean the tiny spirals separating from the seeds. Wash the cherry tomatoes, lemon, and mint. 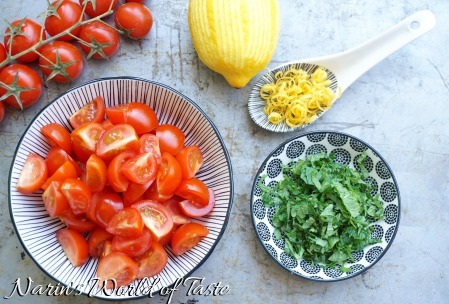 Cut the cherry tomatoes into quarters, chop the mint thinly, and zest half a lemon with a zester. Add all the ingredients to the pot with cooked quinoa and mix thoroughly. 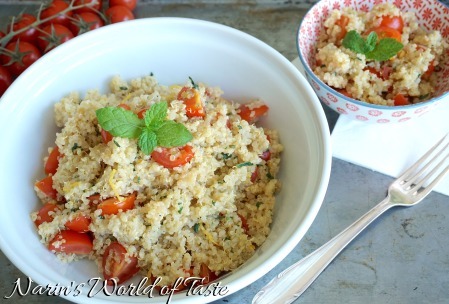 Pour the quinoa into a nice serving dish and serve immediately.